‘Port of Morrow’ is the fourth album from The Shins and it’s been quite a wait since their last outing ‘Wincing The Night Away’ in 2007. Since that time, James Mercer has worked on side-project ‘Broken Bells’ with Danger Mouse, and The Shins have had a fairly substantial change in personnel. It’s safe to say this is not the first time The Shins have changed their line-up – but, to be clear, James Mercer is The Shins. Richard Swift joins on keyboard duties, ex-Modest Mouse Joe Plummer on drums and lesser-known Sub Pop singer/songwriter Jessica Dobson takes lead guitar. ‘Port of Morrow’ is something of a departure for The Shins and is probably more akin to 2010’s ‘Broken Bells’ album than any previous records. The tunes are, as you would expect from Mercer, incredibly well-crafted and the production is immaculate. Each track is multi-layered and there has clearly been a lot of time spent polishing it up for release. Across all tracks, the tempo is a lot slower and it feels like there are less risks being taken. Technically, it doesn’t feel as experimental as you might expect. However, this should not detract from the album itself – it’s a hugely accomplished record – but for longtime Shins stalwarts, it could disappoint. In terms of writing, this is probably the most downbeat Mercer output so far. Lots of the tracks are incredibly sad and dwell on themes of longing, loneliness and introspection, as first single ‘Simple Song’ demonstrates: ‘You know that things can really get rough, when you go it alone,’ sings Mercer. Third track ‘It’s Only Life’ carries on in a similar vein. Although the tone is incredibly moving in terms of lyrical content, the production is very sunny and, as always, Mercer’s vocal is a joy to behold. There are a few notable changes in direction however, as ‘Bait and Switch’ demonstrates, with its Motown-esque tempo. Weighing in at just short of three-and-a-half minutes, it’s a natural choice for a second single. Similarly ‘Fall of ’82’ is a crazy mixture of white reggae and Beatleseque ‘Sergeant Pepper’ choruses. They do feel a little odd when thrown into this otherwise downbeat collection but are a welcome relief from some of the more emotional material on offer. Mid-album ‘September’ is an acoustic track with a clear country feel to it. There is a lot of (admittedly very good) production layers happening within this very simple track, which can sometimes feel a little unnecessary. Given less layers, this would be in the same vein as ‘New Slang’ or ‘Young Pilgrims’ but sadly there is so much going on and it can detract from what is a very simple song. ‘For A Fool’ is a slow, thoughtful ballad, similar in feel to ‘It’s Only Life’. Mercer sings with his heart on his sleeve: ‘Taken for a fool, yes, I was, because I was a fool’. The song describes? a relationship breakdown and the introspection which follows. It’s one of the most emotional tracks on the album. Strings are used throughout the chorus and its layers feel infinite; it’s clearly been polished to ensure it sounds as perfect as it could be. 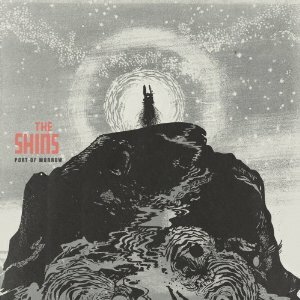 Title track ‘Port of Morrow’ is probably the strongest track and is the most typical Shins output on offer here. Experimental in feel, with falsetto vocals and heavy echo, it sounds like nothing else on the album. Aside from the songwriting and musical technicalities, Mercer’s vocal has always been the trump card for The Shins and this track showcases it beautifully. Overall, this album feels more like a follow-up to 2010’s Broken Bells than a new record by The Shins. It feels less risky and a lot of the experimental edge has been lost to more polish and more layers within each of the tracks. This could be construed as a harsh conclusion on what is a very accomplished and beautiful record. However, for any long-term fan of The Shins, whose expectations for this record are set unreasonably high, based on previous albums, they may feel a little shortchanged. There is no ‘Girl Inform Me’, ‘Kissing The Lipless’ or ‘Phantom Limb’ here. I would urge a few listens before you make your mind up. It could be unfair to make comparisons to former Shins glory and there is still much to love within ‘Port of Morrow’. This entry was posted in The Shins and tagged Port of Morrow, The Shins by admin. Bookmark the permalink.